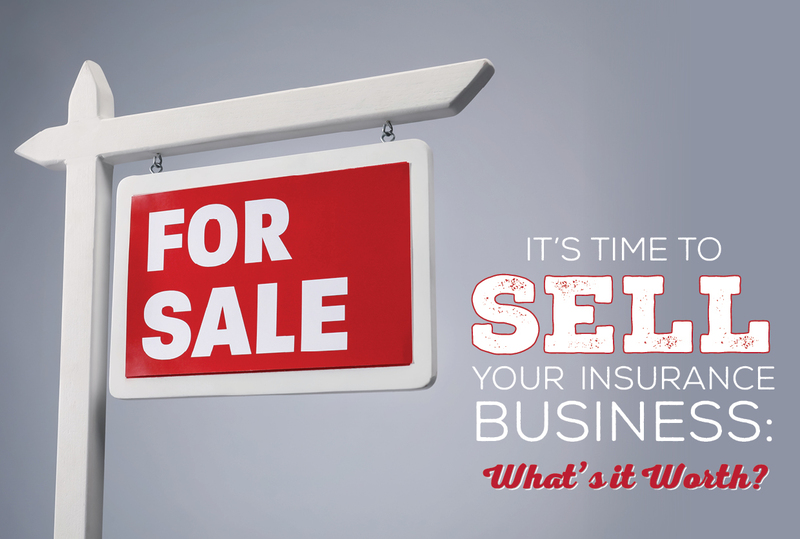 Home Blog It's Time to Sell Your Insurance Business: What's It Worth? For my guys and gals who have narrowed down the retirement possibilities and want to sell, we need to talk about something really important: your book's value. So, today we're going to help you figure out what your book is worth. I'm going to share a bit about some books we have bought, the variables that go into a book's valuation, and what you can do to increase the value of your book. If you're new to succession planning, I'd encourage you to first read Succession Planning 101: How to Retire as an Independent Insurance Agent. You can also watch the corresponding webinar here. There are many things that go into the valuation of a book of a business – and we'll cover that shortly – but there are some basics we should cover first. 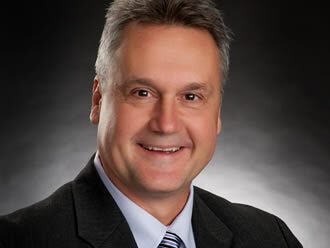 A book of business in the senior insurance world is going to be valued based on your annual gross commission. So, when someone says "My book was valued at 1.5x," they mean that their book is valued at 1.5x their annualized gross commission. In most cases when an agent is offered 1x, it's someone who just buys the book and lets it ride out. Their plan isn't to actually take care of the customers and grow the book – it's just to end up on the right side of the investment. When you start talking about valuations over 2x, you're looking at a solid block of business that's being paid over time or as-earned. We'll cover all of that shortly. Before we continue on, I do want to lay the foundation that we've bought 2 books of business in the last 24 months. The first was unexpected, but it went so well that we did it again. All of the information in this article is based on our experiences. So far, we've bought two books. The first happened in the middle to end of 2017. We got a really tough call from an agent of ours who found out he had terminal cancer. He was given 24 months to live and asked us if we'd consider buying his book. We said absolutely, but we'd never done it before. He lived 4 hours away from our office, and we spent a lot of time with him figuring out how we were going to do it. We paid him cash for his book, and he passed away just a few months later. He was only 57 years old. It was a small book – he had 269 customers, and so far we've kept almost every single one of those customers. For our most recent purchase, the gentleman was ready to retire. He was 71 and had to start taking his minimum distribution out of his qualified money. That's kind of a benchmark, you know? We offered a higher valuation on this compared to the first book we bought (for both books, we offered a higher valuation than what the industry standard would have been), and here's why – the gentleman retiring wanted to be paid out over time rather than being paid a lump sum upfront. When we can spread out the payout, we can afford to pay more. We also valued this as good will. This means that the money we pay him does not have to be counted as commission expense (or income). In other words, he counts it as capital gains, which costs a lot less in taxes. Now, that actually hurts us, because when we do it that way, we have to depreciate it out over 15 years. If we had made it commission expense, we could do 5 years. But this was a way for us to give him more value, because doing it this way saved him a lot of money in taxes. It can be difficult to know when it's the right time to sell your book. I get it. But it's never too soon to have a plan in place. With the first book we bought, he found out he had 24 months to live and he had to get a plan together quickly. He never could've seen that coming. In a perfect world, I'd love for every agent to at least have a tentative succession plan in place. For those of us who know that retirement is on the horizon, it's time to seriously consider selling when you start to see your business drop off. For example, with the book we just bought, we pulled his 1099s from the last 3 years, and you can see his business dropping by about 12% each year. That's pretty common. When you're 25, you feel like you have all of life ahead of you, and you do, but when you're over 60, you start thinking a little differently. Retiring doesn't come to mind when you're young, but after 60, it definitely enters your thought process. What are you going to do with this business? And when that business starts to fall off, it's time to think about selling. You'll never get as much for your book as you will now. The first book that we bought was a lump sum. The downside to this is that you earn a lower multiple, probably between 1.5x-2x, but it made sense in that situation. Plus, if you really need that money all at once, you have that advantage here. The second book we bought was paid over 5 years. We gave him 3 options: 4, 5, or 6 years. If he would have chosen 6 years, we could have increased the multiple, because we're spreading it out more. I didn't want to go longer than 6 years, because that's a long time on a Med Supp book. A lot of those customers won't be here past 6 years. The big draw to being paid over time like this is that it's a sure thing. And most people want a sure thing. Let's just say we lost all the business. We're still obligated to pay him that money over a 5-year period. It's a guaranteed offer for him. The final way to do this is as-earned. This relieves a lot of the risk for the buyer, because if the book doesn't make any money, the buyer doesn't pay. But if that business grows and it sticks, it earns more. This is where your book can be valuated as high as 2.5x – or even higher if your book has some of the variables we'll discuss in the next section. The person who sold that book could earn more with this option, but the seller would really have to have a lot of faith and trust in the buyer that they'd take the book and would help it grow. We can and would pay a much bigger multiple on that – and we would because we'd have less risk. That first book we purchased has grown. It's been way better than what we thought. Our staff have done a ton of cross-selling, which has added a ton of value. We've written a lot of big annuity business out of there which has been a huge gift. If I'm an agent and have a book of business that represents most of my life's work, I want to get the best valuation that I can for my business. Equally as important is that whoever takes over can be trusted and that they'll care for your customers. And that's how we approached both of these books that we purchased. There are so many variables that affect how much your book of business is worth. It's truly on a case-by-case basis. However, there are a few ways to increase the value of your book, which includes selling more insurance, having more new business (not business going into its 6th year of renewals), having a CRM, and selling to your FMO. Selling more insurance is a given. If you've stayed the same for a while and want to kick things back up again, I'd encourage you to look into our All-Star Program. Having more new business is naturally going to follow when you're growing. When you're stuck with the same production and/or have started to let things run off, you're going to have older business. Having a CRM is also a big one. One of the first things we did when we bought that first book was to input all those paper files into a CRM. When that work is already done, it saves the person buying your book a lot of time and manpower. Selling to your FMO is a great option, because the FMO doesn't want to lose that override that they're currently making on the book. They have a stake in it! However, the biggest piece of all is the culture of your business. If you have loyal customers, and they've been loyal to you, I have a feeling they'll be loyal to us, too. If you're a person that we've already done business with, and we trust each other, that's a leg up on the whole deal. I hope this helps, and if you have any intention of selling your book, whether that's now or 10 years from now, I hope you'll reach out to us to get that conversation started.